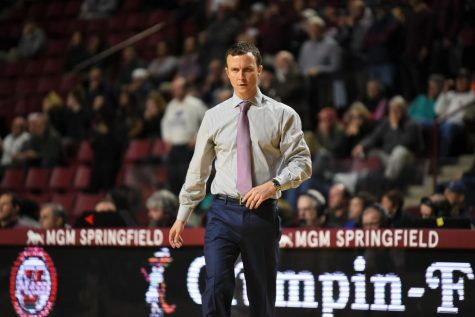 Most teams wouldn’t be satisfied with a 12-win season, but for the Massachusetts women’s basketball team, it represents a positive step forward for the program. 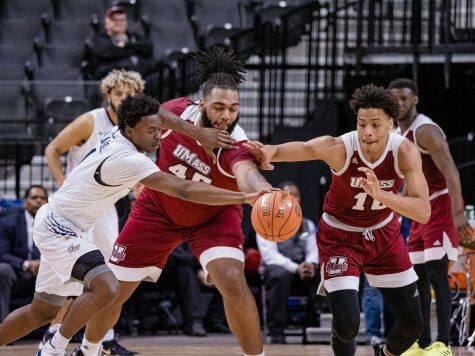 UMass’ (12-18, 5-11 A-10) season ended Friday in an Atlantic 10 conference tournament second-round loss to Richmond 67-63. The loss served as a microcosm of the season for the Minutewomen: a team which competed well but couldn’t finish the job in the end. Despite the defeat, coach Sharon Dawley said she could not be more proud of her team this season. This season marked the first time since 2009-10 and the first time in her tenure as coach that the team finished with more than 10 wins. 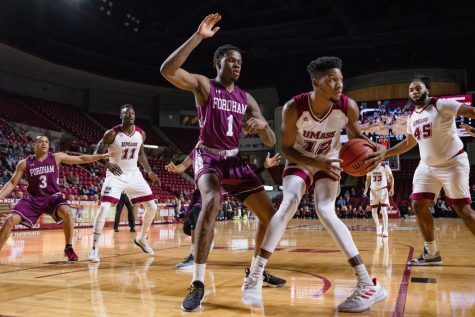 UMass had three seniors on the roster that will need to be replaced: guard Emily Mital, forward Paula Tarnachowicz and forward Kim Pierre-Louis. 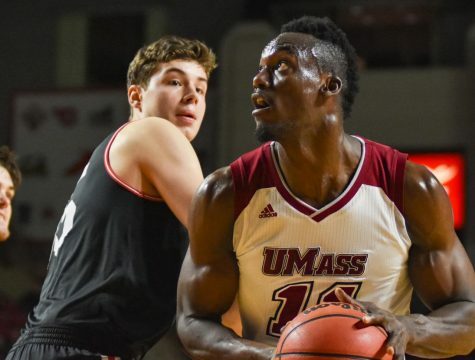 Pierre-Louis will be the biggest loss for the Minutewomen next season. 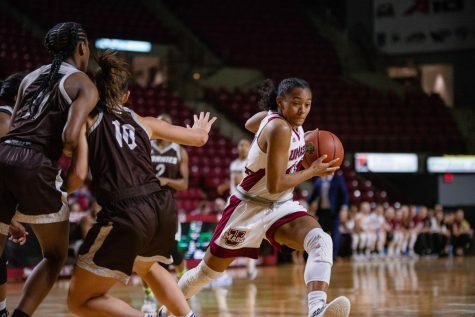 The senior finished her collegiate career with 1,099 career points, placing her 17th all-time in UMass history. In her senior season, she averaged 18.4 points per game and 7.5 rebounds a game. Mital finished off her Minutewomen career with 728 total points while succeeding in the classroom as well. 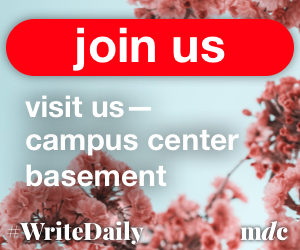 She was recently named to the A-10 all-academic team and was a mainstay on UMass’ and the A-10’s honor rolls during her tenure with the Minutewomen. 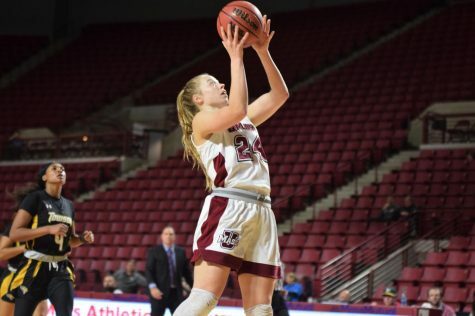 Tarnachowicz finishes her career with 45 points in her two seasons at UMass. 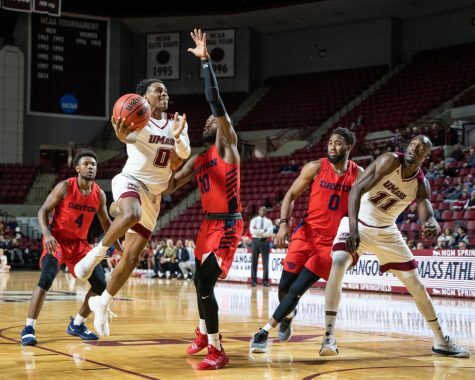 Despite losing three seniors, the team returns a number of significant contributors. 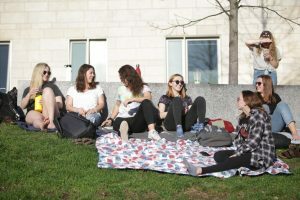 Most noticeably, the Minutewomen are optimistic about their rising sophomore class. By the end of the season, two of the team’s starters were freshmen in guards Cierra Dillard and Leah McDerment. “I couldn’t be more proud of what the young girls on this team did,” Dawley said. 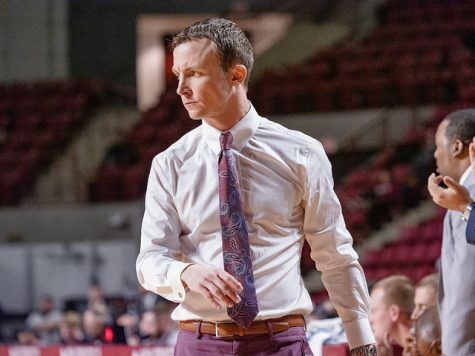 “They really took to the senior leadership on this team and improved greatly. 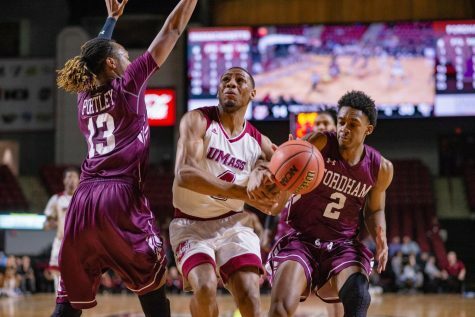 Dillard looks to be a future offensive leader for UMass, scoring 319 points this season. If she keeps up this pace, she could join her teammate Pierre-Louis in the 1,000-point club. McDerment averaged over three points a game and did a solid job facilitating with 2.1 assists a game. Fellow freshman Cierra Rosten also contributed with 67 total points this season and over two rebounds a game. In addition to these underclassmen, Rashida Timbilla will return for her senior season. 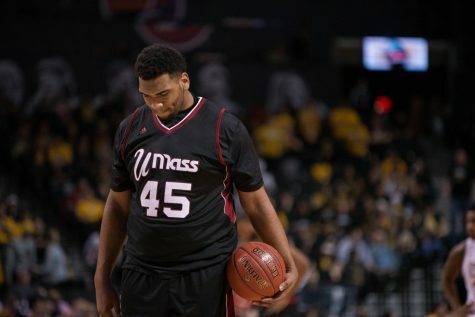 The forward averaged 8.3 points per game and 9.6 rebounds.